Her interest in reflexivity and curating as a critical social practice is reflected in her contributions to Museum Theory: An Expanded Field (2014) and Slum Tourism: Poverty, Power, Ethics (2012). Her newest curatorial research project explores the (im)possibility of exhibitions in response to suicide. She teaches interdisciplinary courses related to contemporary cultures with the McGill Institute for the Study of Canada. 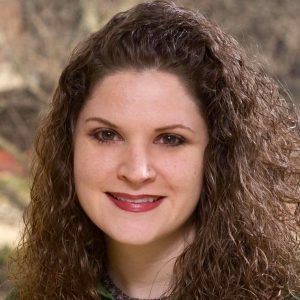 Jennifer conducts research in the areas of museology, representation, and architecture, and considers how these practices mediate, and are mediated by, the cultural institutions that frame them. A more recent research project takes up the emergent phenomenon of human rights museology. She has published essays in Museum Management and Curatorship (2012); National Museums: New studies from around the world (Routledge, 2011); La revue de l’Association québécoise d’interprétation du patrimoine (Montréal, 2010); and Chora Five: Invervals in the philosophy of architecture (McGill-Queen’s Press, 2007). She is also interested in phenomena at the intersection of culture, embodiment and psychical life and has published writings on anorexia and self-harm in this vein. In addition, she directs the multi-institutional partnership development project Thinking Through the Museum: Difficult Knowledge in Public. 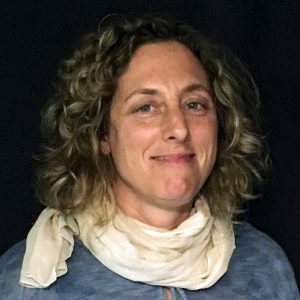 She teaches in the areas of feminist theory, cultural studies, queer theory, and embodiment and subjectivity. In 2012 she won the Clifford J. Robson Memorial Award for Teaching Excellence at the University of Winnipeg. Image c/o Seaweed Rudy. 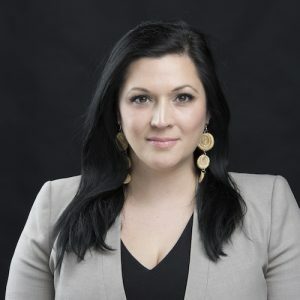 Her teaching and research interests include the global exhibition of Indigenous arts and culture, mid-century modernist primitivism, and issues of colonization, sovereignty, resistance and resilience. 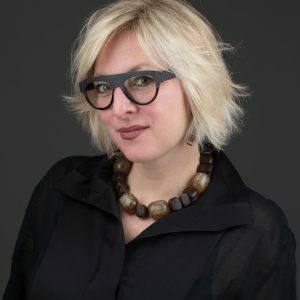 Her publications include chapters in Response, Responsibility, and Renewal: Canada’s Truth and Reconciliation Journey (2009), Inuit Modern (2010), and Negotiations in a Vacant Lot: Studying the Visual in Canada (2012). Cynthia E. Milton is Professor of Latin American History the Université de Montréal. Her interdisciplinary research studies TRCs and alternative modes of truth-telling, and artistic representations and cultural interventions in the constructions of historical narratives in the aftermath of state violence and in the era of human rights. Major honours include the Bolton Johnson Prize for the best book published in her field. She is presently the President of the College the Royal Society of Canada. a monograph examining contested constructions of childhood in late apartheid South Africa, from 1976 to the early 1990s when negotiations for the transition to democracy began; and an experimental exhibit that allows former and current South African children to reflect on their experiences of childhood and explore the meanings of the apartheid past and its present-day legacies. Patterson is coeditor of Anthrohistory: Unsettling Knowledge and Questioning Discipline andCurating Difficult Knowledge: Violent Pasts in Public Places. She has also published in volumes including Encyclopedia of South Africa (2011),The Art of Truth-Telling about Authoritarian Rule (2005), and Responsibility in Crisis: Knowledge Politics and Global Publics (2004). Monica is particularly interested in the intersections of memory, childhood, and violence in postcolonial Africa, and the ways in which they are represented and engaged in contemporary public spheres. 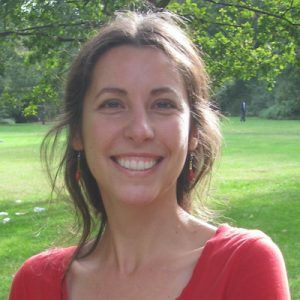 Visit Monica Patterson’s page at Academia.edu. Maria Juliana Angarita Bohorquez has a B.A. 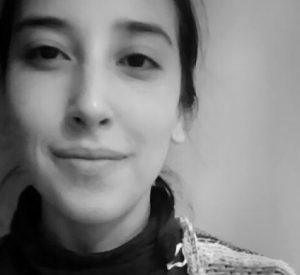 in International Relations from Rosario’s University (Bogota, Colombia) and is finishing a Master’s in museology at UQAM, under the supervision of Professor Jennifer Carter. Her current research explores the construction of Colombia’s National Museum of Memory, focusing on the challenges faced by the museum professionals (curators, museographers, architects) responsible for adapting an institutional mandate sanctioned through national law to the design of a national memorial and human rights museum. 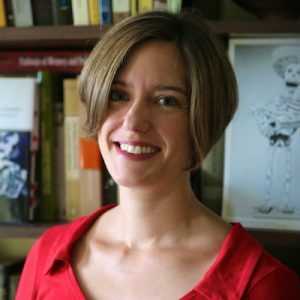 The relationship(s) between critical museological theory, display practices, and collecting tendencies are at the very heart of Danielle’s research. Art practices that engage with institutional critique and ideas of subversion are of a particular interest as well. 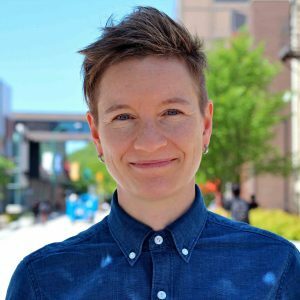 She has worked as a Teaching Assistant in postcolonial methodologies, as well as a Research Assistant to Professor Anne Whitelaw, researching the influence of women’s volunteer groups within Montreal art museums and the collection and development of Canadian Contemporary art practices. Presently, Danielle is working as a Research Assistant for Dr. Heather Igloliorte on the FQRSC funded Beyond Museum Walls project. 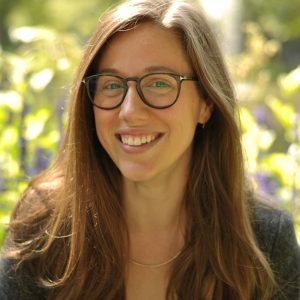 Anne-Marie Reynaud is currently a postdoctoral fellow at the Centre for Research on Ethics. She is doing research on the Canadian Truth and Reconciliation Commission and visual media. 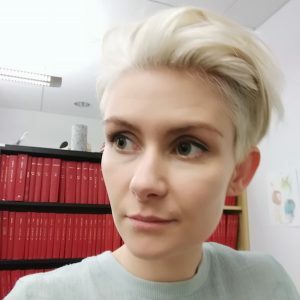 In 2016 Anne-Marie completed her PhD in Anthropology at the Freie Universität Berlin, where she also worked as a Research Associate and Program Coordinator for the M.A. Visual and Media Anthropology from 2008 until 2010.